Everyone can use more fiber, right? I’m all for adding beans to my diet, any way I can get them. I love them and eat them almost daily. Although I’m content to eat beans plain, cooked, cold, leftover, or any old way I can find them…I also like to dress them up a bit from time to time. Here are two bean recipes that are snacks. Treats, even. Mmmm. They’re good. First, Roasted Garbanzo Beans. They’re super simple to make and with so many variations, you’ll never get bored. The only caution here is: They’re addictive. 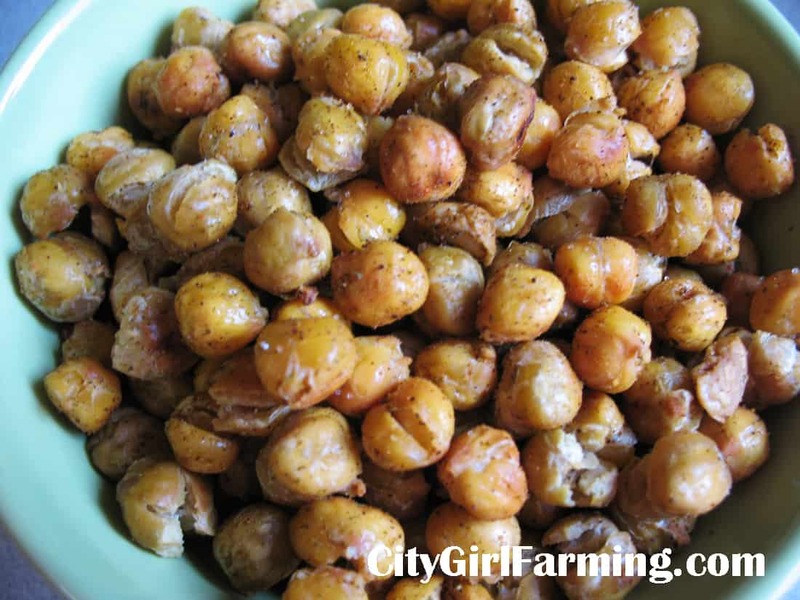 You can cook dried garbanzo beans, or used canned. Either way, rinse them well (about 4 cups worth) and pat them dry with a towel. Some of the skins might come off. That’s okay. You can keep that part or discard them. Preheat the oven to 400 degrees. Toss them in a bit of oil. And bake in single layer on a cookie sheet until crunchy (about 30-40 minutes). And then, here’s the hard part: deciding how you’re going to dress them up. The ones pictured here are tossed with some coconut oil (heated so that it’s liquid) to roast, then (after they came out of the oven) they were tossed with sea salt and some homemade taco seasoning I made. You can go sweet or savory. Hot or mild. Cinnamon with honey. Lime with coconut. Cajun. Flaming hot. Just salt. Whatever your pleasure. Here’s a great website I found filled with more creative flavoring ideas. Preheat oven to 350 degrees. Line 9×9 pan with parchment (if you leave a bit hanging out, you can easily lift the cooked brownies from the pan). Melt butter, beans, and chocolate together until melted and smooth. Whisk the sugar, eggs and vanilla together. In small bowl, whisk the flour, cocoa powder and salt together. Add the melted chocolate to the sugar mixture, then stir in flour mixture. Pour into pan and bake for around 25 minutes. Be careful not to over bake it. When it’s done the top will be cracked and the center will still seem a bit gooey (but if a toothpick inserted comes out with moist crumbs, you’re good to go). The cool thing about this recipe is that using beans in place of some of the butter not only adds fiber, but it cuts the fat almost in half. 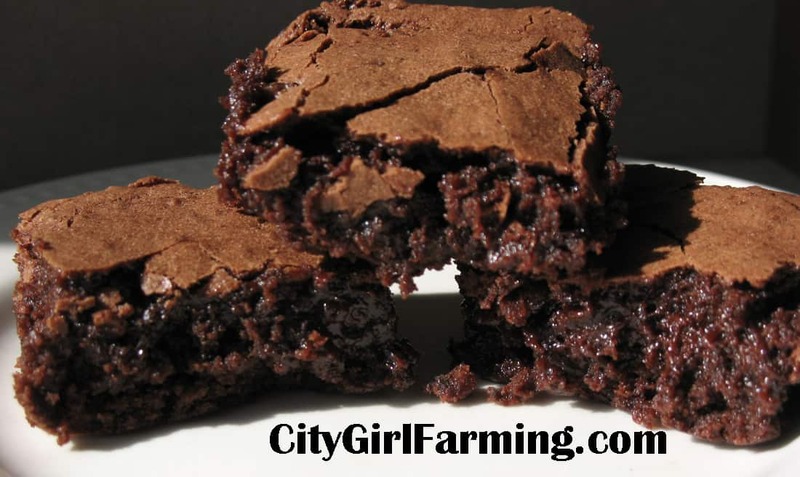 Plus, these dense brownies are moist and delicious. Now, if you feel like a snack, just head for the beans! It hardly feels like a snack, then, right?